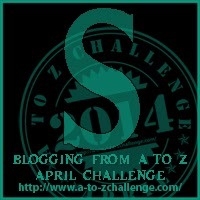 Posted on 22/04/2014 by the curtain raiser •	This entry was posted in A to Z April Blogging Challenge and tagged #atozchallenge, a to z april blogging challenge, A to Z of Living Imperfectly, being a stickler for rules, blogging, blogging challenge, correcting facts, rules, social rules, teacher's pet. Bookmark the permalink. Agreed. I wold never advocate breaking the law, but there are self imposed rules that sometimes need to be broken. For they can also act as a prison. Glad you’re not getting indigestion ;). Thanks for following and commenting. I am trying to keep up with it all, but failing abysmally this year. Sorry, I put my reply in the wrong bucket. See below under the Carrie stream. It won’t make sense out of context. It is hard to write every day. They best I can do, is every other day or every third day. No indigestion here, by the way. Beware the man who knows he’s right … great post thank you. Good to know the rules so that they can be broken. And to have ‘expectations’ that good outcome will follow if you do all the right things .. hoo boy, the saddest rule to live by. Thanks for visiting and commenting. You have a beautiful blog site. 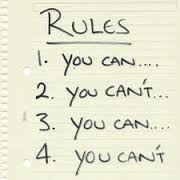 Self imposed rules certainly need to be challenged at various points. Thank you so much. Yours too is beautiful! I heard somewhere during this challenge that true patience is being able to let things unfold in a way other than what you intended or imagined. If that’s the true definition, I am one dang patient person because life just doesn’t turn out the way you expect. I think it’s a valuable lesson we all need to learn. I must admit I am still struggling with “patience” as you have defined it here. Bu I can see the merits as I age and am moving towards fining true patience. Exactly, unless they happen to be laws. Being virtuous does not generally equate to being happy.